The resonant waves may be finished but drMikey has one last surprise up his sleeve. A beautiful montage of all the paintings from the series in poster form and the option of which way up to hang it depending on your mood. You can purchase this print for a very reasonable $20 by going to IWillAlwaysBeLost.com. There is also a chance for three people that buy the poster to win one of the original paintings. Sorry for the very brief post on this, but lots of time pressure at work, be back later. I love this poster by the way. Argggh. So you mount on center peg and each morning spin to see if you will "always" or "never"!!!!! Better come up "I will always be LOST" :O !!!!! :))) thanks drMikey. Very nice. I really like it. But I dont even have a spare $20 these days. After a day of consideration, I bought the print! Thanks Mikey!!! For those following by email my brain isn't working today. I too decided to buy the $20 print, but I'm with LT: how the hell are you supposed to decide which way to hang it? Ideal solution: buy 2 prints, and hang them side by side... LOL! H-m-m-m...that Kate image sure looks familiar. I'm not sure how many more times I am going to post, (or how much longer this site is going to last), but I wanted to say that you guys have all been great and it has been an absolute pleasure meeting you! Thanks for making this a great community and of course an extra thanks to Zort for maintaining it. I will always have my LostARGs mug (thanks Lisa) to remember it. Moving and the wife has asked that my collection of 5 official lost posters be left behind. 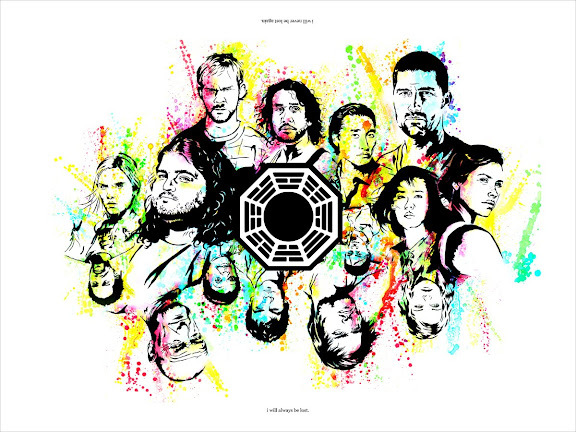 There is a NEW POST for the LOST Marathon.